The premise of Mobile Presence is that people should get meaning, not just data, from the mobile internet. It has limitless commercial potential. For advertisers, marketers, and content and service providers, Mobile Presence enables the distribution and consumption of information, media, and services with unprecedented relevance. The distribution of hyper local, hyper personal and hyper social information means that advertising in particular is no longer an intrusion but a value-added service. Most people dislike traditional advertising as pollution. 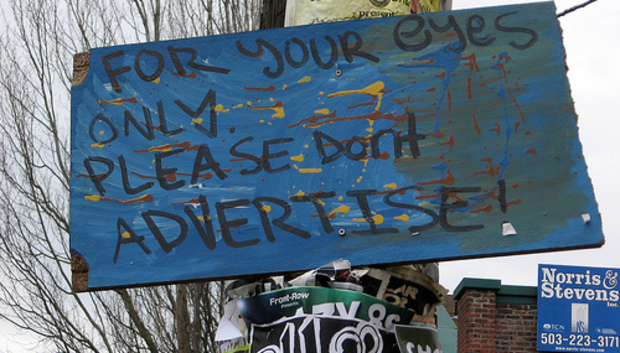 It is a transformative moment when ads can help rather than intrusively annoy people. However, adverts based on Mobile Presence create a highly differentiated offering. Hyper locality will enormously increase the response rate. Most advertisers would kill to know of someone who loves their product within a kilometer of their shop. With Mobile Presence, advertisers will have very precise demographic and geographic information about potential customers. Instead of “click and hope,” advertisers will believe about the prospect, “I know you.” A merchant, whether it is the corner deli, the jean shop, or the Italian restaurant, will be able to advertise to a precise demographic in its own backyard. Advertising’s value is in its relevance, and Mobile Presence provides acuity of relevance. Advertisers want better information about prospects and verifiable returns for their money. With much higher response rates, more companies will advertise, particularly small ones that previously lacked the confidence to. Here is my prediction: Mobile Presence will shift a significant proportion of advertising to pay on performance. Instead of the advertiser paying a fee each time a user clicks on an ad, the advertiser will pay a much larger fee—but only when a customer buys the product. Many more firms will advertise if the opportunity is great and the risk is zero. The sharing of risk and reward by ad agencies with their clients will lead to a surge in advertising. Local merchants also will benefit from the instantaneous and hyper local nature of Mobile Presence-based commerce. The jeans dealer, for instance, could decide on a Saturday morning, without having planned a campaign, to go on an ad exchange and immediately launch a local ad. It would be broadcast to the correct demographic close to the store, promoting a one-hour special of perhaps 25% off all products. In a six-billion-person mobile market, hyper personalization means one-to-one marketing! It is this highly personal targeting that will enable Mobile Presence services to monetise their products. It is not just the advertisers who gain from this experience. Consumers benefit in a multitude of ways from a holistic experience around a purchase. As a result, all of the companies in the value chain benefit from much more targeted products, a higher success rate in sales, and more satisfied customers. Partnerships among travel companies, media outlets, and other information providers will boom because meaningful information can be directly tied to time, location, and context. Entrepreneurs who focus on Mobile Presence will develop maximum value for their company and investors. The opportunity of Mobile Presence rests upon four pillars: identity, security, geospatial, and social. When all four are fully developed, the doors of the kingdom will open. By Robert Marcus, Chairman and CEO of QuantumWave Capital and author of The Fifth Wave: A Strategic Vision for Mobile Internet Innovation, Investment, & Return. « Tony Beynsberger (Global) - How do you Give Your Customers the Information They Actually Want?